The Czech government is expected to reach a decision on the best way to finance new nuclear projects by the middle of the year, after a Ministry of Industry and Trade committee agreed yesterday to finalise its recommendations to government. The Standing Committee on Nuclear Energy met to consider investor models and financing for the construction of new nuclear reactors. Minister Tomáš Hüner said the country, which currently generates about a third of its electricity from six nuclear reactors, "definitely" needs a new reactor to replace at least some of the capacity at the older of its two nuclear plants, Dukovany. He said the committee had looked at three detailed possible investor models and also at how to finance such a project. The Czech Republic's state energy policy, approved by the country's cabinet in June 2015, foresees one new unit at Dukovany, and possibly three more at the Dukovany and Temelín sites. 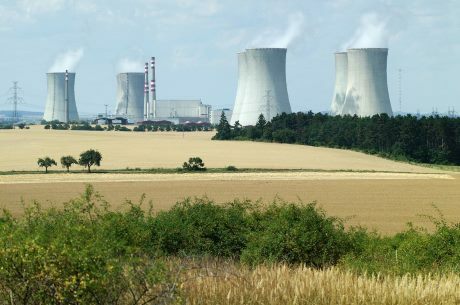 The cabinet at that time recommended that utility ČEZ, which owns and operates the country's two nuclear power plants at Dukovany and Temelin, should create a subsidiary company to prepare construction plans and explore options for financing the new reactors. The committee yesterday considered options including creating a new subsidiary of ČEZ to build the units with state backing; the purchase by the state of an existing part of ČEZ to build the plants, and splitting ČEZ to transfer its nuclear plants to a state-owned company. The committee yesterday concurred it will agree a finalised recommendation at its next meeting in May. This will then be put forward for a cabinet decision. According to Reuters, Hüner told reporters that the state was not opposing to buying some ČEZ assets, but should decide on the investment model for building a new nuclear plant before making any decisions on how the utility, which is majority owned by the state, should be split. Czech Republic special envoy for nuclear energy, Jan Stuller, said experts advising the committee were "leaning toward having the state invest in the new plant," Reuters reported. ČEZ last year held talks with six companies and consortia which had expressed interest in building reactors at Temelín and Dukovany, including Westinghouse, Rusatom Overseas, EDF, Areva-Mitsubishi Heavy Industries joint venture Atmea; China General Nuclear Power Corp; and Korea Hydro and Nuclear Power.